I‘m quite sure if I stated Hitting a Baseball is Extremely Difficult, although a simple statement, it would provoke no argument from anyone who has tried to hit a good curveball, or catch up with a 95 mph fastball. It’s an accepted fact … hitting is hard. I’m going to teach you the many elements of “ How to Hit a Baseball” including drills and strategies, but as with all skill factors … you must have patience and begin with the basics. 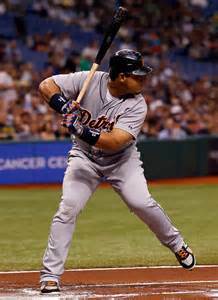 Much like the eating of an elephant, one bite at a time, the Art of hitting must be broken down into numerous elementary elements, which build upon one another to develop a good hitter. To believe anything other is foolish. Doesn’t matter whether a batter has an open or closed stance, holds his hands high above the shoulders or low around the belt line, stands erect or bent over, there’s one common element all hitters must have … a Starting Mechanism. The definition of a starting mechanism is a designated trigger which initiates movement of the body when batting. Make it a point to watch any major league hitter as he prepares to bat and you’ll think he’s got ants in his pants. Before and after entering the batters box, he’ll tug at his batting gloves, kick the dirt, moves his bat up and down or in semi-swings, twitches his head, seemingly constantly moving. Until the pitcher begins his wind-up, at which point the batter becomes Perfectly Still, as a statue in the park in preparation to hit. So what’s happening? (1.) I’ve said it before and I’ll say it again, “If you can’t see it … you can’t hit it.” Seeing the baseball as soon and as well as possible is the Most Important aspect to hitting… Period. In order to see a baseball while in motion a player’s eyes must be stationary, meaning his head can not be moving, therefore his body can not be moving. (2.) 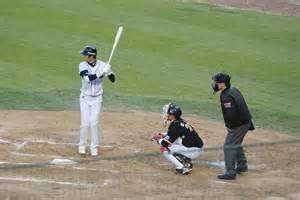 In order to keep the head still a batter, once in his ready hitting stance, must be motionless, but this can create problems of its own. A hitter can not become too ridged by tensing his muscles or else his movements become herky - jerky and non-fluid, which adversely affects the quickness required to swing the bat but, ….. (3.) By the same token, when hitting a baseball, a hitter can not be too loose or limp or else he’ll never be able to quickly summon his body into the action of recoiling and reacting in time to pull his bat through the hitting zone. Hitters will employ a Starting Mechanism, which begins the entire process of the body leaving the motionless state and exploding into action, which is also referred to as “pulling the trigger”? We must keep in mind, once the body is commanded to become perfectly still, some particular initial movement of the body is required to start the body into the motion, which will be a redundant physical movement which the batter will perform on every pitch … whether he swings or not. There are three basic body mechanisms which are used in tandem or alone, pertaining to the beginning of body motion. (3.) A combination of lower & upper body movements. Because the vast majority of a hitter’s power comes from the lower body, his hips and legs, the starting mechanism will Always involve the moving of the batter’s front foot, because the front foot initiates the generation of lower body power. However, there is no standardized method of lifting or moving the front foot in order to generate motion. (1.) In order to initiate their swing, some batters will lift their front foot, anywhere from 1” to several inches, off the ground and put it back down an inch or so farther forward than where it began, as this action begins the body motion of moving forward and the turning of the hips. (2.) Some batters on the other hand will raise the front foot merely an inch and put it right back down in the exact same spot, but this initial action starts the body’s motions of striding and swinging. (3.) Some players will utilize, through exaggerated moves, the movement of the hands as another way to begin the process of striding and swinging, by moving the hands slightly lower or raising them to invoke movement in the bat. It’s important to note, when hitting a baseball, hand movement alone will not be sufficient, but must be performed in conjunction with the foot movement, which places the entire body to explode mode. (1.) Although some players may have what appears to be an exaggerated leg lift, these movements are controlled and basically are performed identical every time. (2.) A hitter must be perfectly still and focused on the pitcher as the ball approaches his release point. When hitting, certain body parts move and are involved in a controlled starting mechanism, while others, such as the head and eyes Never move before or during the swing, as your eyes should see the bat make contact with the baseball. As mentioned before, when hitting a baseball each player requires his own starting mechanism procedure, such as leg height and foot placement, and the only way to refine the procedure to the player’s requirements is to experiment by swinging at pitches in order to see if your timing is there, the swing is fluid and you’re comfortable. While developing your starting mechanism, attempting to learn the skill of Hitting The Ball Up the Middle is arguably the best method to develop to become a consistent contact hitter, and to develop the timing required to verify your starting mechanism is correct or needs more refining. (a.) When hitting a baseball and learning to initiate body movement, (starting Mechanism) attempt to constantly make bat to ball contact and simply drive the ball back up the middle, which reduces the swing to it’s simplest form. (b.) Keep in mind while hitting a baseball is skill specific, and we’re at a basic “How To Hit” stage of the process. Skills such as maintaining balance, keeping the hands back, bringing the knob of the bat through the hitting zone first and a hundred other “To Be Learned“ skills, are in the future. At times when a professional ball player, one who is expected to hit for power, becomes mired in a slump and begins acting totally confused at the plate, which happens at the pro level also, what has happened. The problem will not be an obvious reason or else it would quickly detected and corrected by a coach, but the hitter has developed a bad habit which adversely affects his swing and timing, and in desperation to correct the flaw he begins changing things, either consciously or unconsciously. 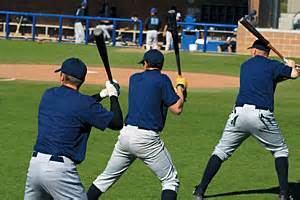 In order to begin hitting a baseball again, he changes his stance, either widening, shortening, opening or closing it. He holds his hands higher or lower, closer or farther away from his body. He changes his starting mechanism to a higher lift or no lift at all. After doing all this correction …his swing and quality at bats is in shambles and he is so confused he doesn’t know where to begin. That’s when you will see him, the home run hitter, shorten his swing and start hitting the baseball back up the middle. Why? Because a coach has instructed him to return to the Basics and begin again. By concentrating on hitting the ball up the middle, his focus returns, his stroke returns, his confidence returns. Learning the proper Starting Mechanism and learning to make solid contact with a well timed, fluid swing is the Basics to becoming a great hitter.